A simple practice to start with is called “Breath 4-2-5”. 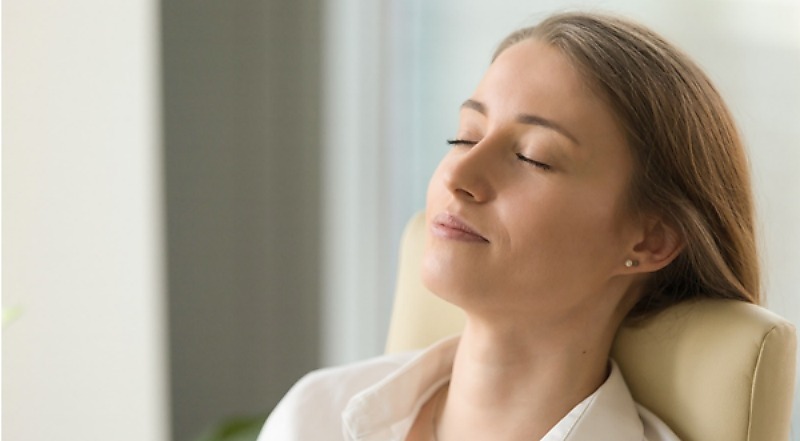 I learnt this technique while working with my colleague, Dr John Wood, who brings applications of mindfulness to leadership. It is a wonderful pause, relax and open when you find yourself in the “grip” of a stress response. Start by sitting comfortably and close your eyes. Put your attention to your feet. As you inhale slowly through your nose, imagine you are drawing your breath up from your feet to the top of your head. As you do this, count to four. Pause at the top of your head, holding your breath for a count of two. Exhale slowly through your mouth for a count of five, taking your awareness down your body and back to your feet. Repeat this 4-2-5 rhythm for a few breaths or until you feel more relaxed and open. This is particularly effective to do when you feel stressed or tense during your day. Remember it is a simple equation of four-two-five beats.